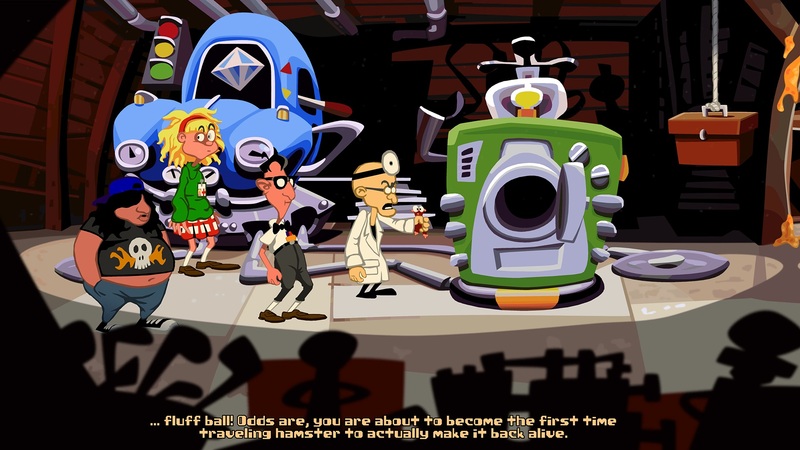 "Return of the Tentacle - Prologue" is a fan project and the unofficial sequel to the iconic adventure game "Day of the Tentacle". Purple Tentacle is back and tries to conquer the world and enslave humanity once more. The three friends Bernard, Laverne and Hoagie make their way back to the mansion of the mad scientist Dr. Fred – time travel should help saving the world. Control the characters just like in the good old 2D adventure game era with your mouse. A modern interface awaits! Apart from familiar faces of the original game, you will also encounter guest appearances from characters that belong in other games. AKO VZNIKAL DAY OF THE TENTACLE REMASTERED? OSLOVÍ DAY OF THE TENTACLE AJ PO 23 ROKOCH?